Lee Teschler is the Executive Editor of the Design World network of websites, online resources and print publications. Leland (Lee) Teschler worked at Penton Media for 37 years, starting in 1977 as a Staff Editor for Machine Design, and worked his way up to Chief Editor of the publication in 2006. Prior to that, he had been a communications engineer for the federal government. Teschler holds a B. S. in Engineering and a B. S. in Electrical Engineering from the University of Michigan, and an MBA from Cleveland State University. 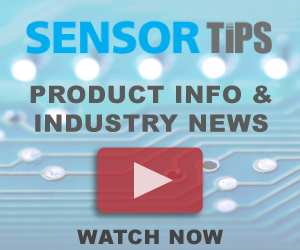 Coverage areas include power electronics, solar power electronics, test & measurement, Internet of Things, motion control and controllers, solid-state lighting, energy efficiency, and industrial electronics. Aimee Kalnoskas serves as editor for EE World and WTWH online communities, EDABoard.com and Electro-Tech-Online.com. She began her career in electronics and technical publishing in 1984, and has served as a speaker and panelist at numerous industry events and as moderator for many webcasts serving the electronics industry. Aimee’s interest in electronics began early in life thanks to her father, an electronics engineer who felt that oscilloscopes also made highly effective nightlights for his seven children.